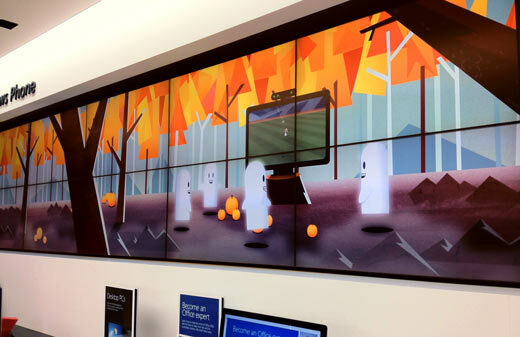 It’s Halloween time at the Microsoft Store! And what better way to celebrate the holiday than a fun and exciting theme featuring your favorite classic monsters. 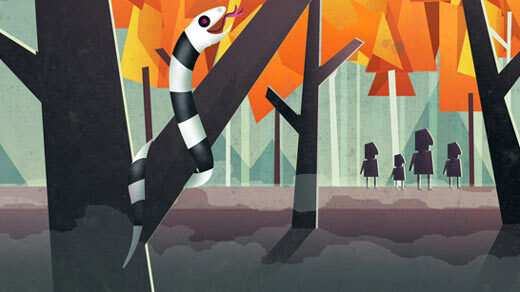 The Halloween theme is a 57,000 pixel animated cartoon that engages the audience the minute they walk into the store. Look closely and you’ll see an owl playing Xbox against a witch or a group of ghosts jumping and dancing to an Xbox Kinect. There’s a story placed in each quad throughout the store so no matter where a customer is they can always look up and enjoy a fun, quirky animation to brighten up their shopping experience. The final combined resolution of the video piece was 57000 x 1080 pixels.